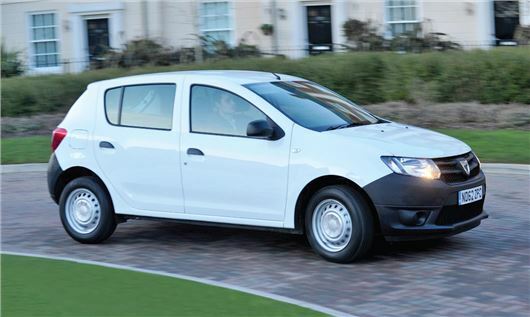 Research by HonestJohn.co.uk has shown that the diesel powered Dacia Sanderos take on average 39,665 miles to break even, when compared to petrol models. The Fuel Cost Calculator shows that a Sandero 1.5 dCi 90 in Ambiance trim (costing £8595) will take 1447 days to break even, when compared to a similar Sandero with a 0.9 TCe petrol engine, priced at £7595. Diesels traditionally command a premium over petrol engined cars, but the Honestjohn.co.uk Fuel Cost Calculator shows that the financial benefits are often misunderstood, with diesels taking years to return their initial extra cost. In fact, when considering real world economy, with Real MPG, the Dacia Sanderos take on average 39,809 miles to break even, with annual saving of just £251. Do a significant number of Dacia Sandero owners sell before 42,585 miles? I can't imagine many people who want the latest and greatest will buy one in the first place. Also, it would be helpful if you included tax differences since higher MPG correlates with lower CO2. In this case for example the diesel is an additional £30 cheaper per year bringing the break even mileage down to 37,878 miles. Not to mention the higher residual values for diesels across the vast majority of car makes. If you take all of the running costs and residual values into account, diesels win hands down once you do any kind of decent mileage (5,000 miles pa upwards). Sorry, but I think any calculation or survey that suggests otherwise is just plain wrong.................one look at the second hand price difference between petrol and diesel on Autotrader tells you that. The 3 Dacia owners I know have no plans to sell but run there cars for 10 years or more. The Sandero and Logan MCV are the best 2 models as they are based on old proven Renault technology before 2002 (2002 - 2009 Renault products where rubbish, the worst in the companys history). The Sandero makes perfect sense if you keep your vehicles long term and do not desire all the latest technology.